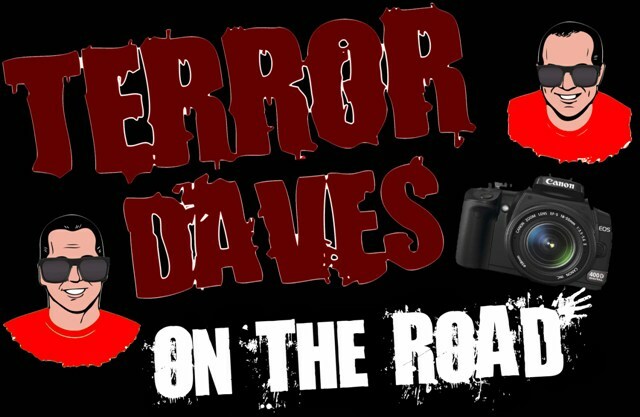 Terror Daves on the Road: Showmen’s Rest! During Svengoolie’s appearance at Flashback Weekend last August, I bumped into fan Chuck Barcik, whom I’d met at a previous appearance. Chuck was the guy who had a Svengoolie tattoo and was featured in a story I wrote HERE. This time around, he handed Jim Roche (Sven’s assistant) and I copy of a DVD he’d created with one of his friends. Later that week I popped it on and was soon introduced to something a life-long Chicagoan like me should have been aware of but somehow wasn’t. 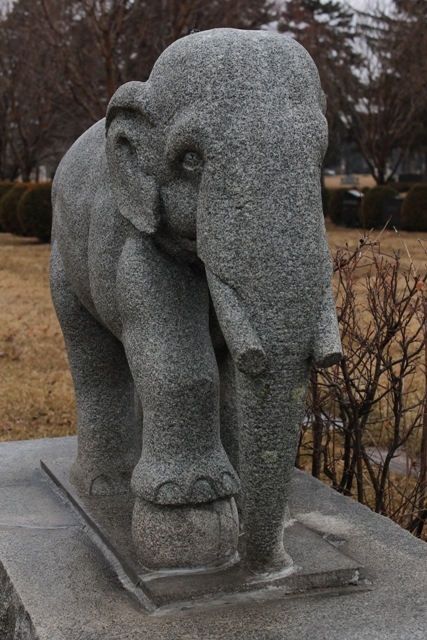 Not far from my beloved Brookfield Zoo (where I volunteer) is the Woodlawn Cemetery in Forest Park Illinois. 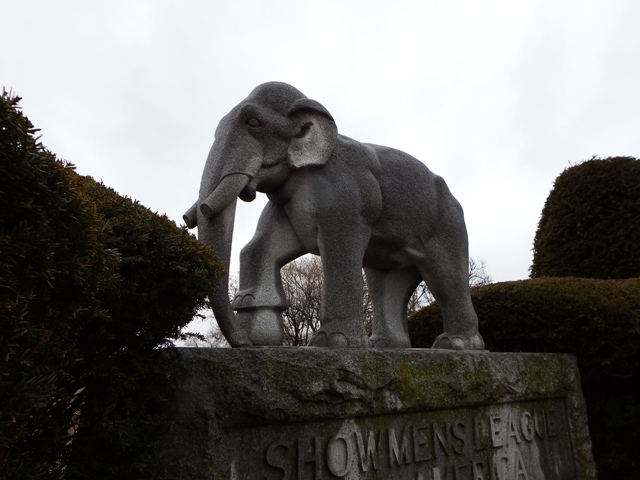 It is here that you can find a patch of plots signified by five elephant statues (their trunks pointed down in mourning) officially known as Showmen’s Rest. 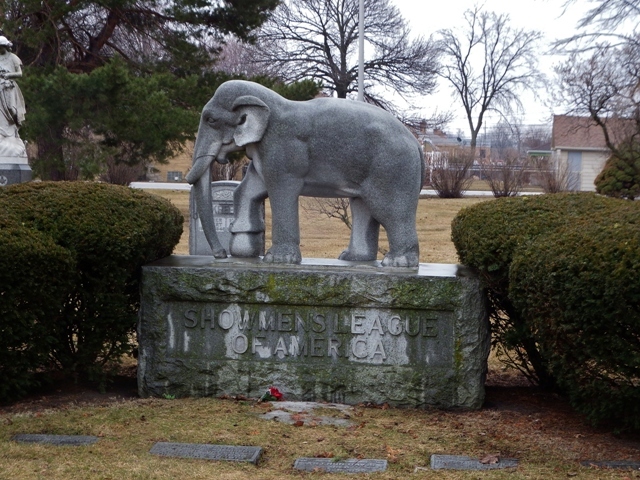 On the early morning hours of June 22, 1918 a train carrying animals and performers from The Hagenbeck-Wallace Circus was stalled and awaiting clearance to proceed to its next performance destination in Hammond, Indiana. Trailing behind them was an empty Michigan Central; train whose conductor fell asleep and plowed full speed into the idle circus train. 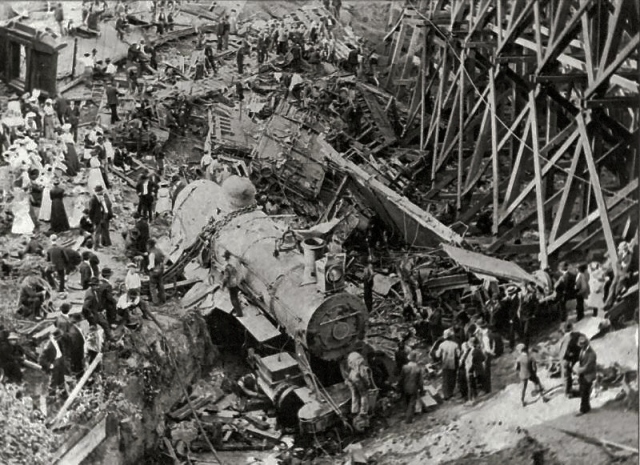 Described as one of the “worst train wrecks in American history” 86 people were reported to have died on impact with and many burnt beyond recognition in the flames following the crash. Over 120 people were injured leading to a final death toll of 104. 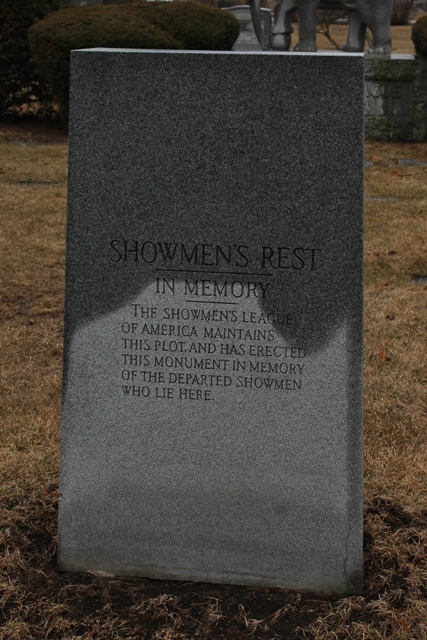 Ironically, just months earlier The Showman’s League of America had purchased in the nearby Forest Park and allocated as a “Showman’s Rest” (NOTE: there are other “Showman’s Rest” cemeteries in Oklahoma and Florida). 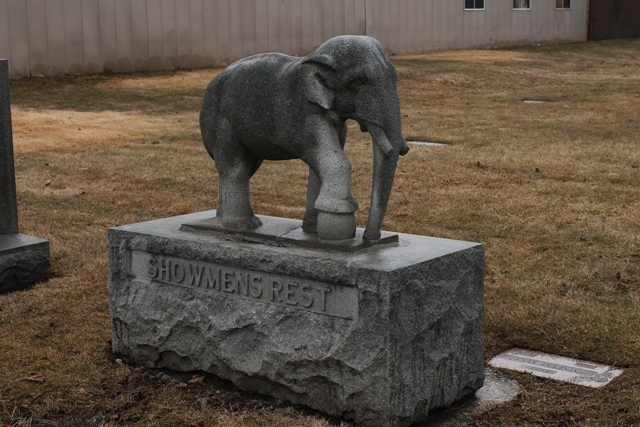 In August here in Illinois, during International Clown Week, observances and activities take place at Showmen’s Rest. I’ve never attended one thus far but would certainly like to. 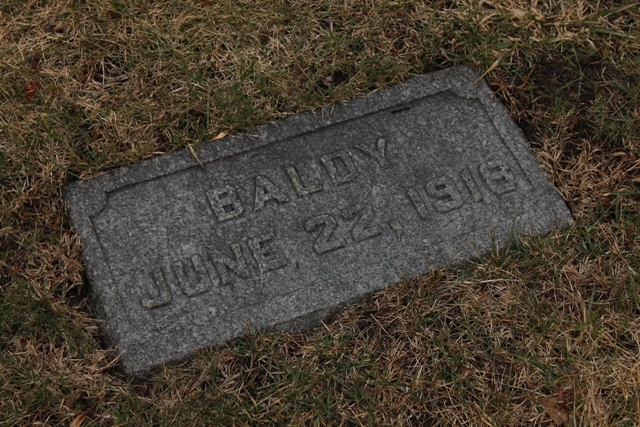 Terror Dave Albaugh had just arrived in Chicago after a long trek from his native Rhode Island. 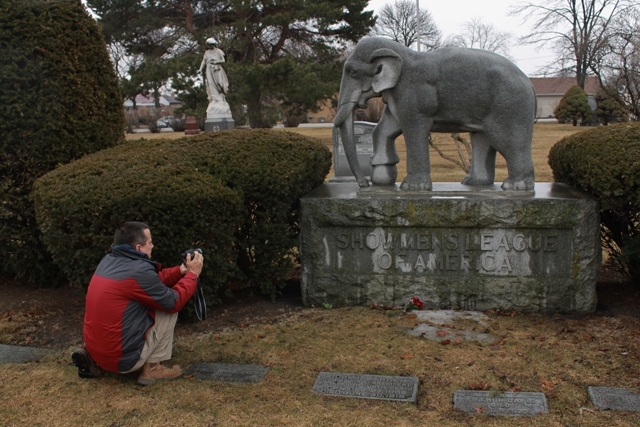 With us only having a few days in The Windy City before we slowly made our way back to his New England, our schedule was chock full of attractions with this being one of them. 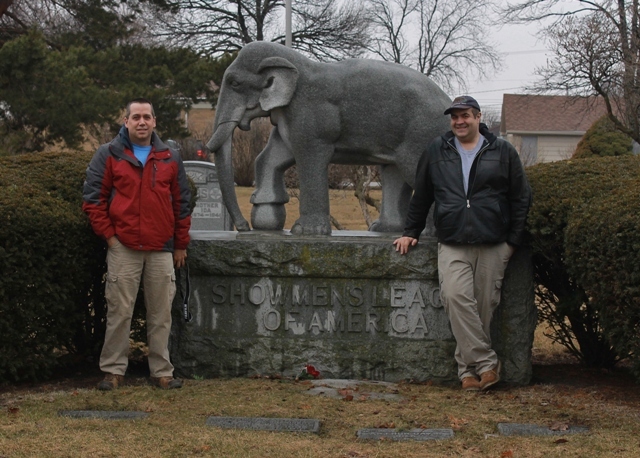 We decided to visit “Showmen’s Rest” first on our way to Elgin to see a friend (another chapter of our journey). The shots you see were taken by both Daves. 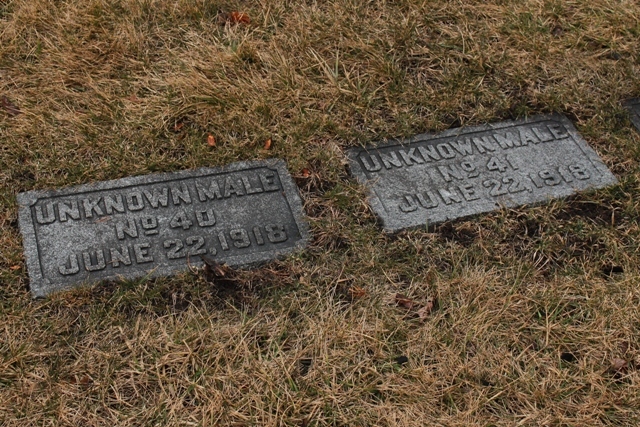 Because many of the people who joined were either known only by their stage name or were burned beyond recognition, many of the tombstones reflect this. 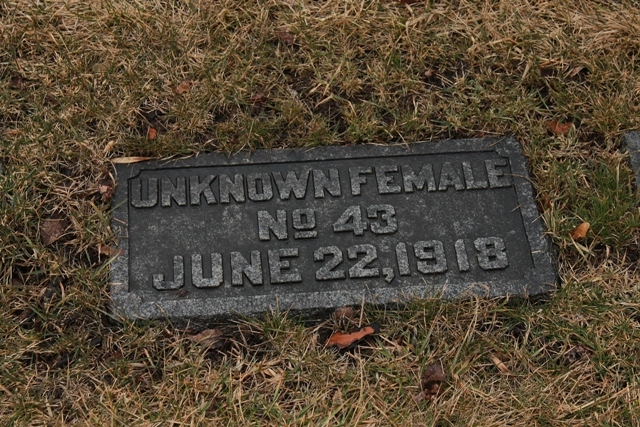 If you’d like to read up more on this and other Chicago cemeteries, then I strongly urge you to get yourself a copy of the book “Graveyards of Chicago: The People, Art, and Lore of Cook County Cemeteries.” It’s written by Ursula Bielski & Matt Hucke and this book is so damn interesting, every time I show it to a friend I have to fight them to get it back! 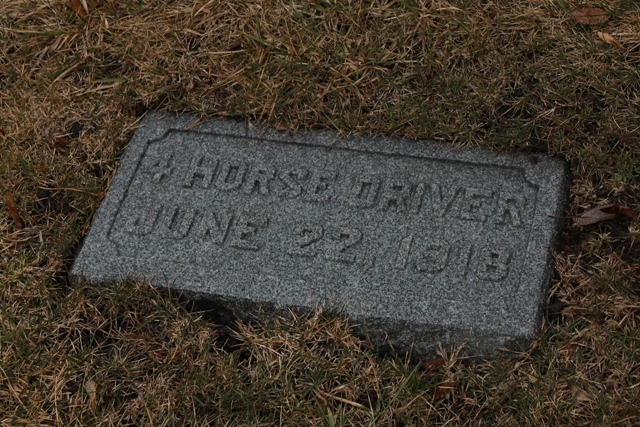 This entry was posted in Cemeteries & Famous Grave Sites!, Terror Daves on the Road!, Weird USA and tagged Showmen's Rest. Bookmark the permalink. ← BLUE UNDERGROUND Puts The Maniac Cop Back on the Beat!